Chemometric Techniques for Quantitative Analysis shows how to produce and use quantitative analytical calibrations in a laboratory or production environment following a variety of methods, how to estimate the time and resources needed to develop analytical calibrations, and how to employ the quantitative software provided with a wide range of instruments and commercial software packages. 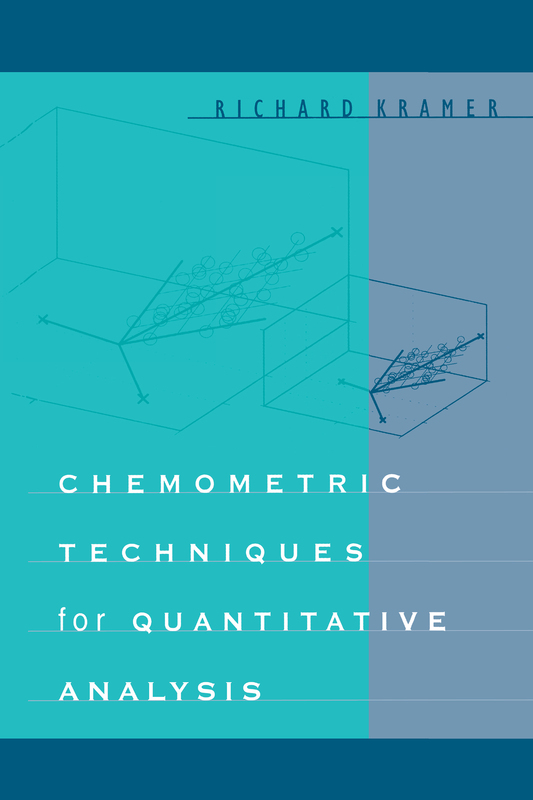 Among several, this bestselling volume covers basic and classical approaches, component regression; PCR in action; partial least squares; PLS in action. An extensive appendix offers a glossary, a list of errors and tests for reduced Eigenvalues. Basic approach; creating some data; classical least-squares; inverse least-squares; factor spaces; principal component regression; PCR in action; partial least squares; PLS in action; appendix A - matrices and matrix operations; appendix B - errors -some definitions of terminology; appendix C - centering and scaling; appendix D - F-tests for reduced eigenvalues; appendix E - leverage and influence.